The Gospel is not, "God accepts your brokenness" (which is false, by the way); it's not even "Jesus ate with sinners"; it's the news that Jesus, true God and true man, gave Himself up as an atoning sacrifice for your sins; that because of this, your very real transgressions against God's Law have been forgiven, His resurrection manifesting the definitive proof that you, and indeed all mankind, are reconciled to God; that you have a righteousness that is not your own, but is solely by faith in the Son of God. Look at the Lutheran "church" which has embraced the Gospel Reductionism of "Seminex." Look at it. Mark it. There is nothing surprising about where they have ended up. 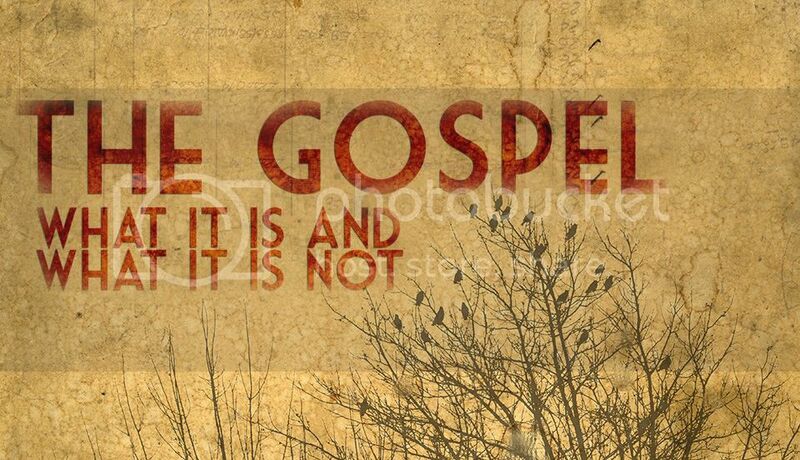 Ok, but what is the pure, true Gospel then if we were to elaborate a bit? Law and Gospel do not differ if Law is taken in a broad sense, as in Isaiah 2:3, or if Gospel is taken in a broad sense, as in Mark 1:1. They do not contradict each other. Both are God’s Word; both are in the OT and NT; both are to be applied to people everywhere, including Christians. The fact that Law and Gospel differ in their narrow sense is suggested or indicated, e.g., Zechariah 11:7; Matthew 13:52; Luke 12:42; Romans 10:4; Galatians 3:24. The difference was used, e.g., 2 Samuel 12:1–14: Luke 7:36–50; Acts 2:37–39; 16:27–31; 1 Corinthians 5:1–5; 2 Corinthians 2:6–8. In a Lutheran layman's terms, with so much current confusion in Christ's Church today over the core of our faith (a.k.a. the Gospel of Jesus Christ) is it any wonder why we see Christians so easily influenced by the culture around them when we can't even seem to grasp the basics?